eGenix is making a ThreadLock binary distribution available to simplify the setup for users of our mxODBC Plone/Zope database adapter. Several people have approached us about a problem they are facing with installing our mxODBC database adapter for Plone and Zope. The Products.ZSQLMethods package is a pure Python package, so it installs fine on all platforms. ThreadLock comes with a Python C extension, so buildout needs to either find egg files for the platforms or have a compiler installed to build the C extensions. On Unix platforms, installing a compiler is fairly straight forward, but on Windows setting up compilers for Python is difficult and the ThreadLock entry on PyPI only comes with egg files for Python 2.6 on Windows. To overcome this problem, we have taken the ThreadLock package and created an internal setup to have it compiled by our build farm. You can now use these buildout configuration settings to pull the egg files from our indexes. We provide egg files for Linux x86 and x64, Windows x86 and x64 as well as the source package as fallback solution. The binaries were compiled with Python 2.4, 2.5, 2.6 and 2.7. Note that we have added a build number to the package version. This allows us to issue updates to the package builds should these be necessary and also makes sure that your buildout will use the packages from our indexes instead of PyPI or other indexes. The eGenix mxODBC Zope DA™ allows you to easily connect your Zope or Plone CMS installation to just about any database backend on the market today, giving you the reliability of the commercially supported eGenix product mxODBC and the flexibility of the ODBC standard as middle-tier architecture. 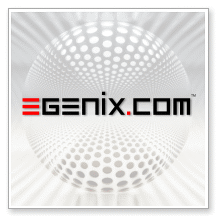 For more information on the eGenix ThreadLock distribution, the eGenix mxODBC Zope DA, licensing and download instructions, please write to sales@egenix.com.